The rising tide of e-commerce won’t destroy bricks and mortar operations, but it will force them to become more tech savvy. What is the view of the e-commerce trend in Poland’s commercial real estate market? E-commerce in Poland has been growing at more than 20% annually over the past three years and it still has very good prospects ahead. Will that have a negative impact on the traditional shopping trends? That is something that has been on everybody’s minds – at least all the players in the retail sector. There were even fears that e-commerce and online shopping could wipe out physical stores. I am now of the opinion that some sectors, such as CD and DVD sales, for example, may be impacted forever, but more generally that several shopping methods can complement each other rather than compete with each other. Warehouse and logistics players must be very happy about the trend. Is that the case? Absolutely. Living in Poland and observing the UK for example, you could basically expect that sooner or later the same growth phenomenon of warehousing dedicated to e-commerce would occur. Please remember the 2009 crisis in that sector in Poland when we faced a vacancy rate of around 19%. None of the big logistics firms were building a single square meter of speculative supply, which after six years now is only slightly restarting. The sector however remains mostly dominated by build-to-suit products, which is symptomatic of a risk-averse market. Accordingly, the vacancy rate has fallen dramatically in that period and yields have compressed. Four or five years ago, the warehouse sector didn’t seem very confident. Didn’t they see the e-commerce boom coming? I think they knew what was happening, which was a growth in the sector mostly driven by e-commerce, and that it would come to Poland – and that’s what we’re seeing. As I said, e-commerce has been key to the growth in the logistics and warehouse sectors, whether via retail operators directly (25% of the market) or indirectly via third party logistics companies (30% of the market). The thing with e-commerce is that when you look for data you realize first that there is a lack of data or the data are very quickly outdated, even in the UK or US markets. As said before, I am truly convinced that online shopping is in fact a tool of diversification for retailers. Indeed, you see more and more online retailing groups in the US opening physical shops themselves. Online retailers, whether they have shops or not, must have a complex logistics system. But on top of that, they have to have be able to distribute their products. They have to end up bringing the goods to the customer. Not all retailers are able to deliver their products – some ask customers to pay extra for quick delivery to their home, and not all consumers are willing to do that. Moreover, retailers fear that the percentage of returns will be high, and that they will have to start managing a stock of returns. When you have bricks and mortar you can handle the returns. Who is generating demand for space? Mostly the e-commerce players. You still have the background of the automotive and industrial sectors, but most of the growth has come from the e-commerce sector. There is an additional 700,000 sqm to be delivered by the end of this year. All together we’ll end up with 10 million sqm of warehousing while at the moment we are at around 9.3 million. Importantly, the supply is based on the true demand and net absorption, because the vacancy rate has hardly moved. It is holding at 5.6%, which shows that the horizon for warehouse construction is pretty bright – they can keep on going. It’s mostly build-to-suit, and that comes mostly from the groups that are the outsourcing parties for the online retailers or for the retailers themselves. The trend right now is that retailers are starting to outsource everything that distribution entails, so they can concentrate on the sales. Should shopping mall owners be worried about the e-commerce phenomenon? Not in the sense that they will have to close down tomorrow, but they should be worried in the sense that it requires of them a much more acute sense of asset management, a much bigger investment in new technologies. Digital departments of retail development and management groups have started implementing various service applications. These new technologies create an experience, and the shopping center is always an experience. What about in terms of shopping centre space? Will malls have to downsize? There is no evidence that shopping malls should think about downsizing. Some of the stores may be impacted. Book stores, for example, were expected to encounter problems, but many of them are indeed doing well at the moment, and even new book stores are opening with a totally new experience and a face-lifting. That may sound surprising, but it’s all about the experience. What is clear is that the retail world has to adapt to the new technologies. Any center management has to be even more client-oriented than it may have been. Please keep in mind, on the other hand, that e-commerce from a brand perspective is not a risk-free adventure for retailers. Any mistake is likely to cost retailers a loss of reputation, because consumers are often not ready to forgive an online mistake. That is the reason why retailers tend to use their best staff for that segment, making it the most expensive. Anyway, in Poland, we are still far away from the Western European standards characterizing what is expected to be the online versus total country sales proportions. Poland is estimated to be at about 4%, while UK is over 13%, Germany over 10% and Norway at 9%. Will Poland hit these levels in the years ahead? Yes. The point is that our current online demand growth has been very similar to Germany and the UK a couple of years ago. But then it began to stabilize. Even if we come from further away in terms of disposable incomes, it is however more likely that the “online threat” scenario become more of an “integration of online and bricks and mortar” scenario. 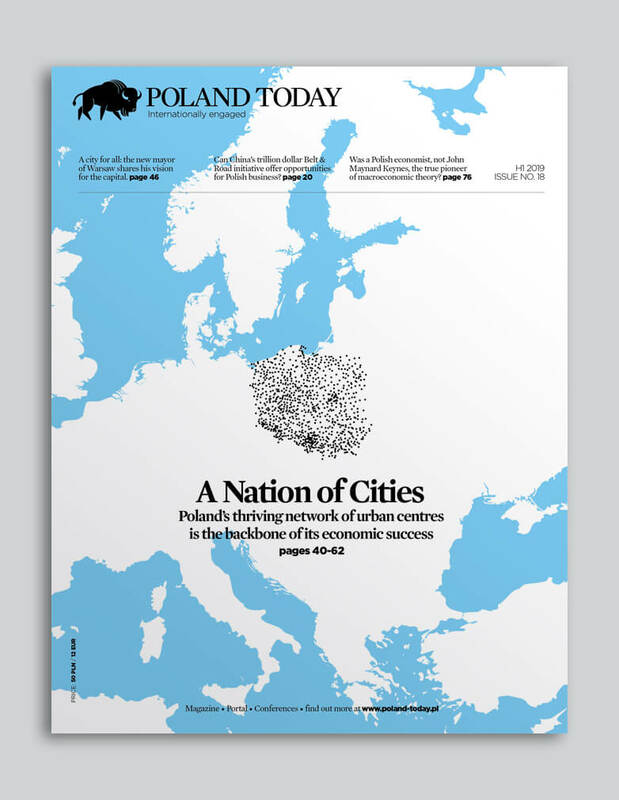 Poland Today speaks with Patrick Delcol, CEO for Central and Eastern Europe at BNP Paribas Real Estate, about his view of the country’s retail market.